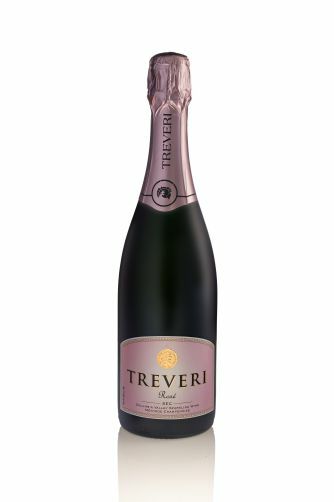 Crisp and complex, Treveri Cellars Sparkling Rosé boasts hints of berries and citrus, creating a blend of delicious and enticing flavors. Rose pairs well with any dish, and its versatile profile is sure to lavish your meal with luxury and class. 1/4/2019 – What varietals are used in the rosé? 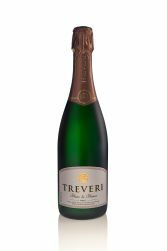 Response From Treveri Cellars: Syrah and Chardonnay are the two varietals used in this wine. 11/4/2018 – Can your sparkling rose be purchased in stores in the Seattle area? Tasted it at Oyster New Year and loved it! 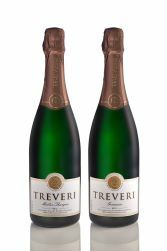 Response From Treveri Cellars: Hi Kathy! Yes, you can certainly purchase our sparkling rosé in the Seattle area! Trader Joe's Costco, QFC, Met Market, and Total Wine will definitely have it, but I will have one of our sales team reach out to you directly with more specifics. Hope that helps! 9/28/2018 – On your champagne Rose do you guys make the personal smaller bottles? Yes, we do make splits (375mL) of our Rosé. While they aren't sold online, you can order (or pick up) in the Tasting Room. Give us a call at 509-877-0925 to order. 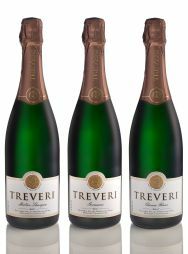 The price of this product varies with the quantity of products ordered in the category "Our Sparkling Wines"